Looking for Best Music Schools in Dubai? 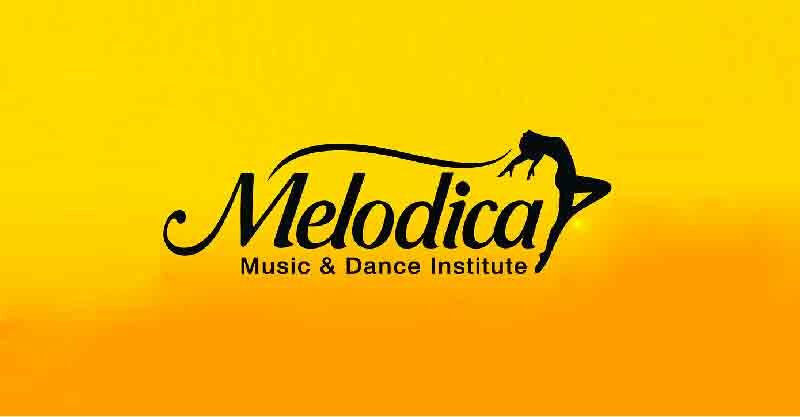 Melodica is one of the leading music schools in Dubai. Our institute takes pride in providing music lessons and dance classes in Dubai for kids and adults. Our team consists of highly qualified teachers. Our courses help our students to learn, read and understand notes, learn theory and training. Majority of our students opted to choose Melodica from the other schools in Dubai mainly because of our quality education, friendly, family-oriented atmosphere and the exceptional service that we aim to provide to our customers. What is Music? It is an art, that encompasses emotions, expression, and manifestation of life itself. It is an expression of oneself and how one wants to impart oneself, thoughts and feelings to the world. It means a lot of different things to everybody and plays an integral part in most people’s lives. To some, it is just an organized pattern of sound but to most, it is more. It is a way of living where they can feel free and escape in their own world. It is a way to express emotions and one’s individuality. To know more about it visit our blog. Here in Melodica, we ensure that our students are provided with the best teachers and highly equipped facilities that can support and help our students meet the goals they set. This is the best place to foster and cultivate a student’s talent. Highly qualified teachers from all over the world were handpicked and chosen carefully to provide our students with the best courses. Our institute also follow a comprehensive syllabus designed to meet and exceed students’ needs and requirements. We provide music lessons such are: Piano classes, Guitar, Drums, Violin, Ukulele, Vocals, and Keyboard. Our programs are designed to fully equip our students with the right elements they needed. We are also a registered institution to the prestigious ABRSM and Trinity of London. 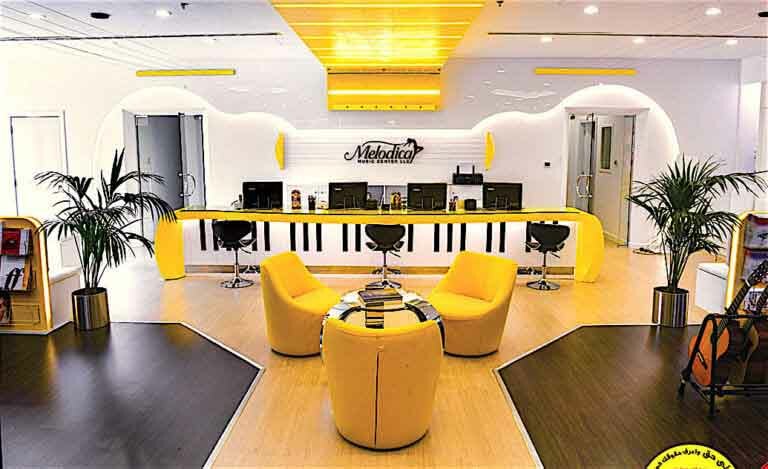 We are proud to bring Melodica within your reach having five branches in different exclusive areas of Dubai: JLT (Jumeirah Lakes Towers), Palm Jumeirah, Al Wasl, Al Furjan and The Villa. 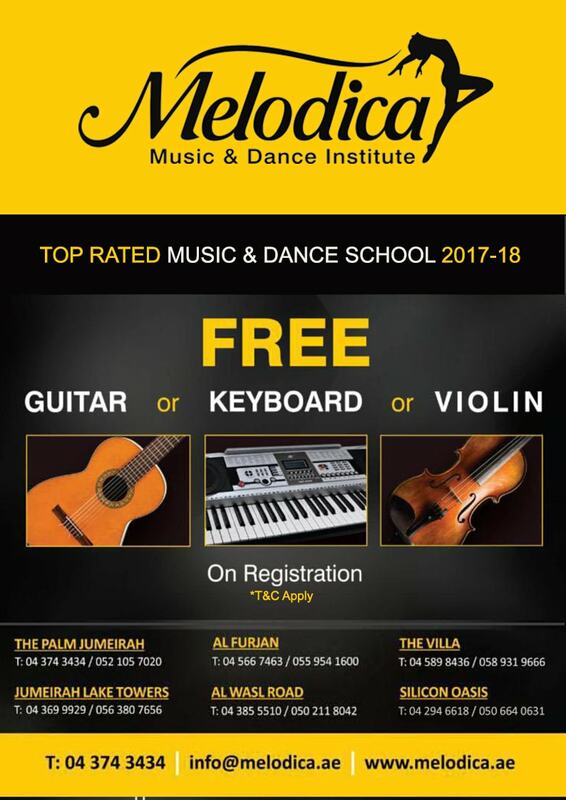 Try the Melodica experience and see for yourself why we are hailed as one of the top music institute in Dubai!